HDR News You Can Use! December 20, 2015 – Welcome again to HDR News! We hope the Holidays are bringing you tons of joy. This is the time of year when the air becomes clear and the golden hour arrives early. We hope you’re finding the time to get out there and make some memorable images. These stressful times can leave a dour expression on anyone’s face. 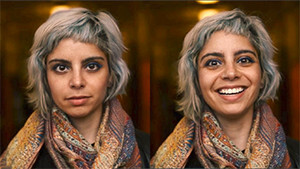 If you’re making a portrait of someone their underlying stress can jump through your lens and leave some sadness on your camera’s sensor. This high school photographer spoke a simple expression that transformed her subjects from sadly blasé to ebullient. You need to see this short video. It’s especially poignant during the Holidays. If you’re into HDR you know about exposure bracketing and the limitations your camera may have, especially when shooting longer exposures. Low light HDR shooting will force you to use the bulb setting on your camera which means you’ll have to be near your camera and manually time and trip each shot. 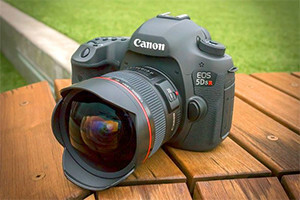 If you’re doing time-lapse shooting you’ll need to return to your camera at each exposure interval to trip the shutter. Wouldn’t it be nice to automate those functions and even have access to additional exposure settings that are not native to your camera? You need to check out the Promote Control. The Promote Control can shoot up to 45 exposures per setting at shutter speeds ranging from 1/8000 sec to several hours ( we bet your camera doesn’t have those settings!). 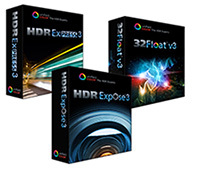 Right now you can save $100 on a Promote Control and HDR Expose 3 bundle. This is the time to dive into HDR photography with HDR Express, enhance your Photoshop capabilities with 32 Float v3 or upgrade to the full-featured HDR Expose 3. Any way you go, you’ll be getting the best HDR software out there. All three applications are based on Pinnacle’s full 32-bit Beyond RGB color space, which virtually eliminates color shifts and data loss in your photo editing. The latest versions have improved de-ghosting algorithms and a new automatic noise reduction feature that will produce even better results under the most challenging lighting conditions. HDR Express 3 and HDR Expose 3 also have improved merge capabilities. Use the code HOLIDAY2015 at checkout to get your $20 discount. The sale ends December 26th. The Aurora Borealis or The Northern Lights are the result of collisions between gaseous particles in the Earth’s atmosphere with charged particles released from the sun’s atmosphere. Variations in color are due to the type of gas particles that are colliding. Once you’ve shot the Northern Lights a number of times you’ll be competent with the exposures but then, what do you do to make your images more creative? 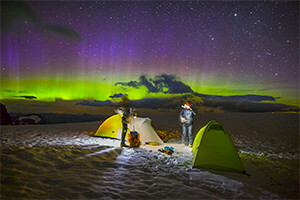 Photographer Paul Zizka (http://zizka.ca/) is an expert in the difficult pursuit of photographing these lights and he shares his tips here. Flipboard has a section titled The Photo Desk where it displays its Pictures Of The Week. Whether you agree with their picks as being the best of the week or not you’ll usually be impressed by some of the photos and those photos will inspire you to push your own photography to a new heights. The first affordable, professional class digital camera, the Nikon D1 became available in June of 1999; just sixteen years ago. Photoshop was introduced in 1990 but at that time most of the work done on Photoshop was on scans of film. Ah, film! 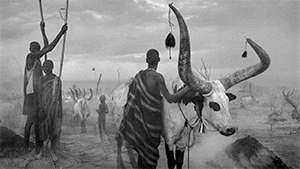 Prior to the late 1990s film was the lingua franca of photography. The great photographers Henri Cartier Bresson, Alfred Eisenstadt, Alfred Newman, Eugene Smith, Irving Penn, Helmut Newton and on and on and on all made their famous images on film. And, most often that film was Kodak Tri-X.